A job posting for an industrial designer on Valve’s website points out that the software company will soon be shifting gears to focus on hardware. This has only added more fuel to the fire that ignited earlier this year when it was rumored that Valve was working on a PC gaming console dubbed the Steam Box. The listing says they are frustrated with the lack of innovation in the computer hardware space, pointing out that even basic input devices like the mouse and keyboard haven’t changed in any meaningful way over the years. As such, Valve says they are “jumping in” because there are opportunities to create compelling user experiences that are simply being overlooked. The job description falls just short of mentioning exactly what their plans are but we now have confirmation that they are actively working on some sort of hardware device, be it a console or input device. The aforementioned Steam Box was rumored to ship with a proprietary controller with swappable components in addition to being compatible with a range of existing USB peripherals. The system was believed to include an Intel Core i7 processor, 8GB of system RAM and an Nvidia GPU. Sources said the device would be able to play traditional PC games as well as those from competing services like EA’s Origin. Those interested in the position are required to have a BS / BA / BFA degree in industrial design, six or more years of experience in the workforce, a good understanding of product design principles, effective collaboration skills and a commitment to quality, among other traits. 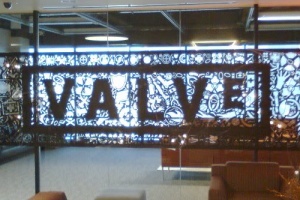 Check out Valve’s “join us” page for more information on how to apply.